I am a wife, mother, creative spirit and passionate soul. I live in the Pacific Northwest with my husband and our six wonderful children. My days are full of tickles, laughs, and epic messes, and lots of learning together. I wouldn’t change one thing about this season, challenges and heartaches included. I love Jesus and hope that my life speaks of His transformative work in me. Thanks for taking a few moments to share in my journey. Feel free to send me a note and tell me about your heartaches and happiness. I’d be honored to hear from you. 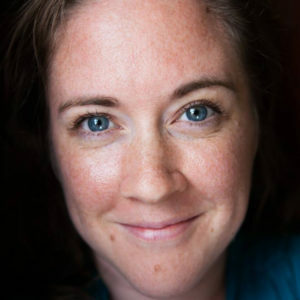 Emily Sue Allen is the founder of the Kindred Mom blog and host of the Kindred Mom podcast. Soul care for moms and helping women find joy in the midst of their motherhood journey are among her greatest passions. She is a contemplative, creative soul who celebrates the beauty of a humble, handmade life and deeply values the power of encouragement. 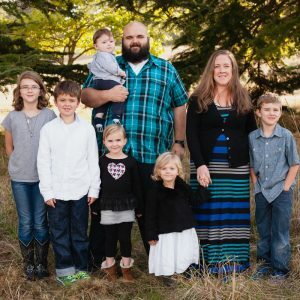 She lives with her husband and six kids in the Pacific Northwest, and personally blogs at lightandloveliness.com. Find Kindred Mom on Instagram (@kindred_mom) and Facebook, and follow Emily personally on Instagram (@emily_sue_allen).